The Cageless Birds: A Carolina Worship Night! The Cageless Birds present A Carolina Worship Night with Jonathan & Melissa Helser and special guest, Steffany Gretzinger. Join us for a night of worship in Greensboro, North Carolina as we pour our lives out before Jesus. 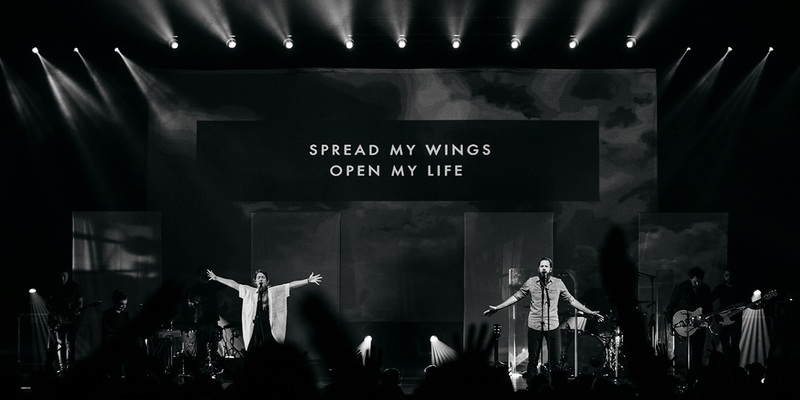 The Cageless Birds set will be followed with worship led by Jonathan and Melissa Helser, the Founders of the Cageless Birds collective, and special guest Steffany Gretzinger. Jonathan and Melissa are worship leaders and songwriters whose hearts yearn to see a generation encounter the love of God. The music they have recorded comes from the journeys they have taken and from their collisions with God’s love. Special guest, Steffany Gretzinger is a part of the Bethel Music collective based in Redding, California. Steffany is a worship leader and songwriter who carries a powerful prophetic voice and pursues the Lord with raw passion, faith and confidence. Her songs are stunningly vulnerable and are saturated with hope. VIP Breakout Tickets are SOLD OUT. Each VIP Ticket admits 1 person to a special breakout session with Jonathan, Melissa, Steffany and the Cageless Birds before the worship portion of the evening begins, from 3-5PM. During this session, the Cageless Birds will lead an acoustic worship set, and the artists will share their hearts and facilitate a Q&A for participants.